One of my best friends, is flying to Florida next week to begin Flight Attendant training. All my girlfriends and myself are so excited (and totally jealous) of her new adventure. Before she leaves, we wanted to have a girl's night to celebrate with her. All five of us girlfriends watch Grey's Anatomy and Scandal, faithfully, so we planned our girl's night for primetime-Thursday. For our dinner, we had tons of cookies, trail-mix and (our new favorite party-meal) mashtinis with all the toppings. 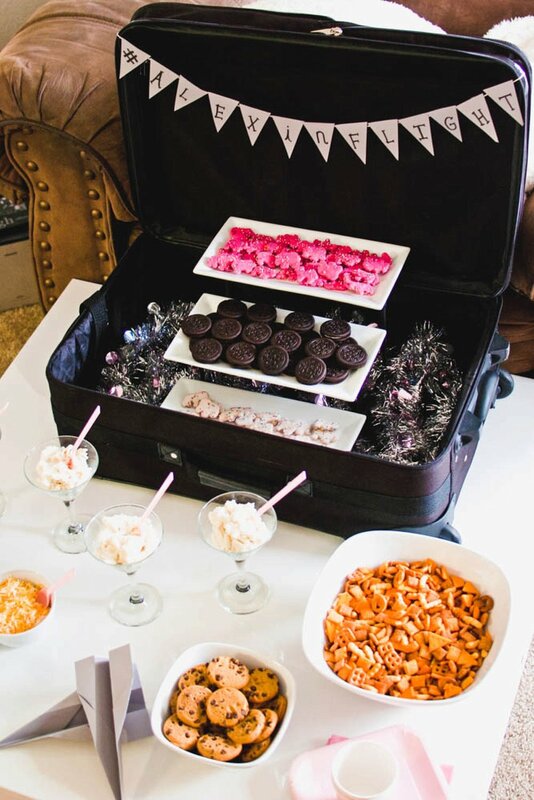 I used a suitcase to decorate the table, made a few paper airplanes and made a tiny banner with Alex's hashtag I'm forcing her to use as she travels: #alexinflight. Just enough theme to celebrate this new career. What exactly is a mashtini, you ask? They're simple. Buy some cute little martini glasses from The Dollar Tree (they're only $1) and whip up some awesome mashed potatoes (mine are always from scratch, cooked in a slow-cooker all day). 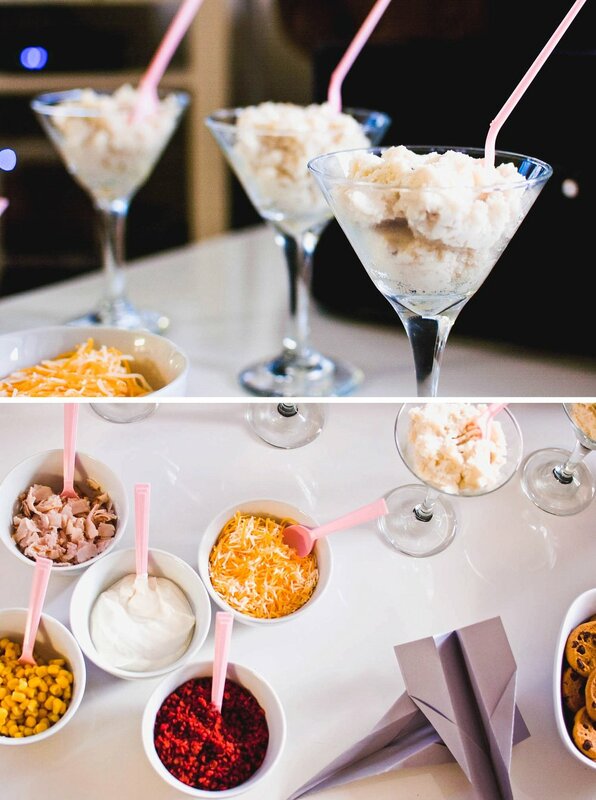 Include tons of toppings on your food table (ham, cheese, corn, bacon, sour cream, etc.). All your guests can make them however they want. Every one loves them! Can't wait for her to complete her training and come back to Dallas. We'll miss her, but I'm sure there will be a much-needed Greys|Scandal watch party the week she gets back!